Ceres Organics Peanut Butter is derived from genuine organic blanched peanuts that have been lightly roasted and then carefully stoneground, giving it it's creamy luscious flavour. 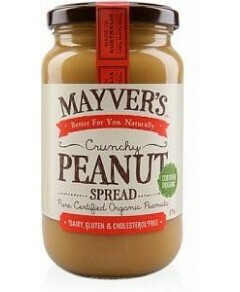 It's perfect for spreads and a superb ingredient in baking and for sauces. Note: Contains no additives, preservatives, colors or emulsifiers. Oil separation will occur naturally - simply stir with knife or fork to blend.